Silver Oak Student Council consists of six student officers, which include president, vice president, treasurer, sergeant of arms, and two historians. Also included are two class representatives per class in 5th and 6th grades. Student Council is open to all students in 5th and 6th grades. Elections are held every year in September and are voted on by students in 5th and 6th grades. Meetings are held during lunch the first Thursday of every month from October-May. 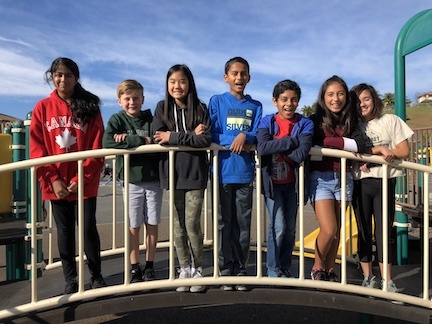 The student council, which is overseen by 5th grade Silver Oak teacher Ms. Giacomini and 6th grade teacher Mrs. Neil, manages programs such as the student store, recycle programs, community service, and spirit rallies for the school. They raise money throughout the year with their Holiday Gram programs for school. Silver Oak Student Council represents the voice of our students. They help to organize community service projects, arrange school-wide special activities and provide input on school decisions. Students raise funds throughout the year by running the Sabercat Student Store and selling Holiday Grams. Monies raised go to Silver Oak projects. Student Council brings students together to celebrate our school through Spirit Weeks and Pep Rallies. During Spirit Week, each day Student Council representatives visit all classrooms to tally participation. Only students who are wearing proper spirit wear are counted (no post-its for colors etc.) The primary and upper grade classrooms with the highest percentage of participation are awarded the "We Have Spirit!" toilet seat (to go with the golden plunger). The toilet seat will be passed on throughout the year. Silver Oak and our Student Council annually support the U.S. Marine Corps helping to collect toys and gifts for less fortunate children in our community each holiday season. Silver Oak Student Council teams up each year with The Leukemia and Lymphoma Society to support their “Pennies for Patients” fundraising drive. Silver Oak Student Council organizes a school-wide collection drive to gather essential hygiene items for Sacred Heart Community Service. These Survival Sacks, designed for the homeless population in San Jose, consist of a brand new backpack filled with essential hygiene items. Sacks are given out the 1st & 15th of every month by Sacred Heart Community Service. Founded in 2017, the Sabercat Post is written and produced by students on Silver Oak Student Council. Click on the dates listed below to read each issue of our Sabercat Post.